Plantar fasciitis is the most common cause of heel pain and occurs when the plantar fascia becomes inflamed. This is the flat band of tissue that connects your heel bone to your toe. It supports the arch in your foot and is important in helping you walk. The major symptom of plantar fasciitis is pain and stiffness in the bottom of the heel. Some people experience it as a dull pain while others may feel a sharp pain or a burning on the bottom of the foot. If you are overweight, you are more at risk of developing plantar fasciitis. This is due to the increased pressure on your plantar fascia ligaments. Women who are pregnant may experience plantar fasciitis, particularly during late pregnancy. If you are a long-distance runner you may be more likely to develop plantar fascia problems. You are also at risk if you have a very active job such as a postman or a waiter. Avoid running, excess walking or standing for long periods. Gentle walking is fine. Your doctor, podiatrist or physiotherapist should be able to prescribe exercises to help treat plantar fasciitis. There are several products that may help with plantar fasciitis. 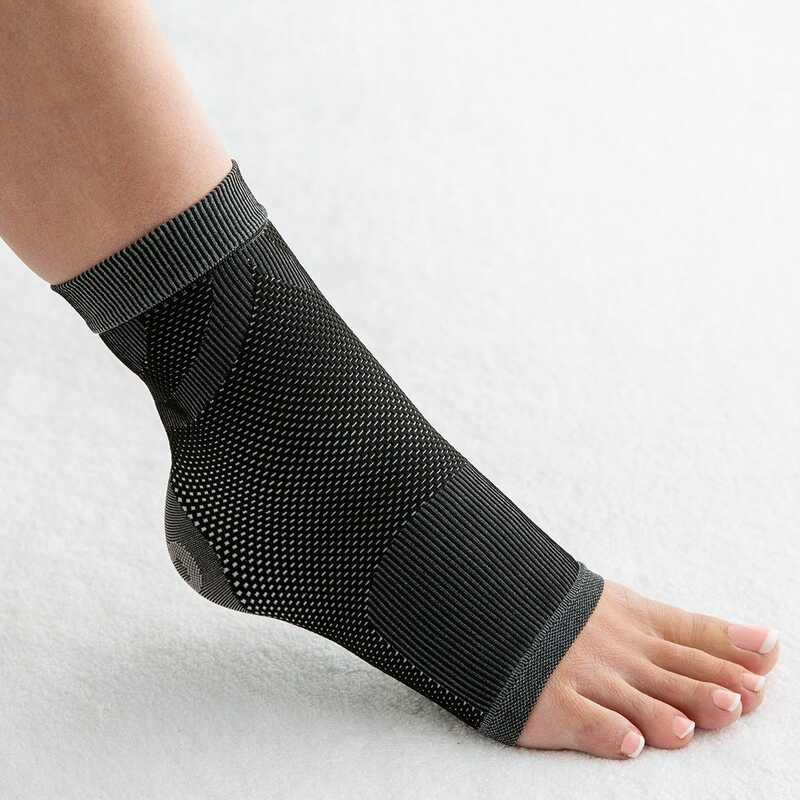 Wearing a sleeve, such as the Plantar Fasciitis Compression Sleeve will support your foot and lift the plantar fascia, reducing pain and discomfort. Multiple compression zones throughout the stretchy sleeve also improve circulation, reduce swelling, aid muscle recovery and relieve tired, aching feet. It’s thin enough to wear under socks when you’re active and you can also wear it while you’re sleeping to help reduce morning heel pain. Wearing a specialist insole may also help. Plantar Fasciitis Insoles are squishy, ¾ length gel insoles which are specially designed to give immediate, soothing relief from underfoot pain. Painkillers such as paracetamol and ibuprofen will often ease the pain. An ice pack held to the foot for 15 -20 minutes may also help. 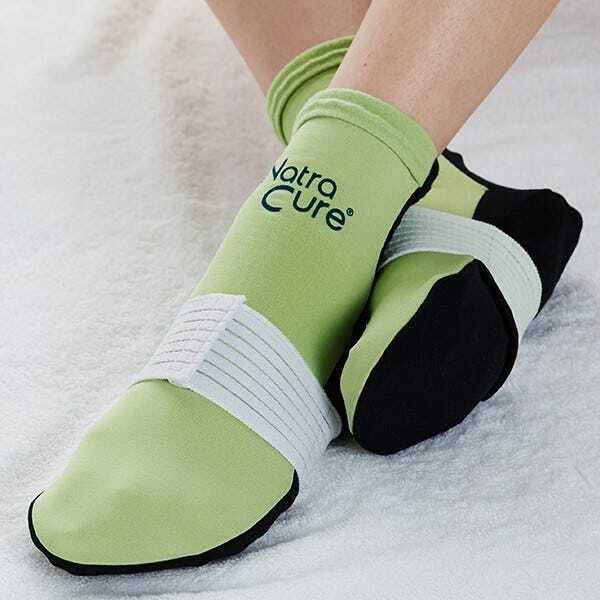 Alternatively, you could try NatraCure® Hot / Cold Plantar Fascia Relief Socks which use cold gel packs to help relieve pain. The socks also have a strap that allows you to customise the amount of arch support and fascia relief that you need. View our collection of products that you may find helpful if you have plantar fasciitis.